Arthritis is not a single disease, instead it is an informal way of referring to joint pain or joint disease. There are more than 100 different types of arthritis and related conditions. It is the leading cause of disability in America and more than 50 million adults have some form of Arthritis. It is most common among women and increases in frequency as we age. Some of the common signs and symptoms of Arthritis include joint pain and progressive stiffness. Depending on which form of arthritis you may have, your symptoms may vary. For those who have arthritis, your chances of having foot problems are increased. Usual symptoms are pain, stiffness, swelling in the heel and ball of the foot, and redness. Be aware, if you experience any of these signs and symptoms, you may have arthritis, and should seek a doctor’s advice. Various types of arthritis are genetically found in families, which means you may most likely develop arthritis if one of your family members has experienced arthritis. Other risk factors include age and gender. If you are a female, you are more likely to develop arthritis. Note, if you have ever broken or injured a bone and/or joint you are more prone to develop arthritis. Obesity can also increase your risk because of the excess stress on your joints. There are two main types of arthritis: osteoarthritis and rheumatoid arthritis. These two types of arthritis can damage your joints in distinct ways. This is the most common type of arthritis. It involves the wear and tear damage to your joint’s cartilage. Enough damage can result in the bones grinding directly on bone, which causes pain and restricted movement. It can take many years for this kind of damage to occur or it can occur from injury or infection. Osteoarthritis often affects varies joints of your foot; which involves your heel bone, your inner and outer foot bone. Symptoms often include pain, stiffness and swelling, and loss of motion. Rheumatoid arthritis is the most common type of autoimmune arthritis, which is caused by a weak immune system that attacks the lining of your joints. This lining becomes inflamed and swollen, which affects the small joints of your feet, including your toes and middle joints of your toes. The disease process can eventually destroy cartilage and bone within the joint; causing deformities of your feet and hands which can be the most obvious signs. Rheumatoid arthritis can affect your small joints on your feet which can spark the development of: corns, bunions, claw toes, and hammer toes. As a result, rheumatoid arthritis can make it very difficult to wear shoes. Arthritis can be treated with medicines that lessen pain and increase joint mobility. There is no cure for your arthritis, only ways to manage it. You can participate in physical therapy, undergo surgery, or alternative medicine such as acupuncture. How can you take extra precautions to lower your chances of getting Arthritis? There are several different ways that you can protect your joints and keep them healthy. By maintaining mobility and function you are decreasing your chances of developing arthritis. You can avoid sports injuries by wearing proper protective gear, going through adequate training and playing a safe game. You can also reduce you risks by wearing supportive shoes. Which shoes are good for Arthritis? The best shoe is the one that is fitted properly. At Lucky Feet Shoes, we have specialists that will help you get the correct fit. We also carry a wide variety of shoes and sandals for arthritis. Many of the shoes and sandals we carry have large tow boxes which limits tight fits. Tight fitted shoes can cause excessive amount of pressure on your feet which can lead to ulcers. 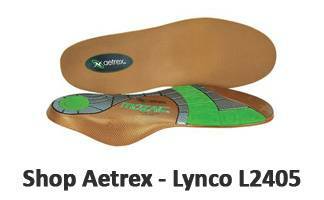 Lucky Feet Shoes carries a wide variety of arch supports for arthritis. 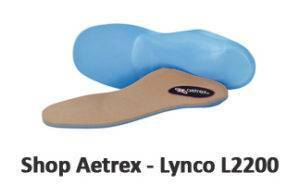 The best arch support for arthritis will have good shock absorption and evenly distribute pressure across the foot. They will help relieve pain in the knees, feet, and hips. 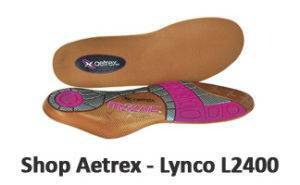 At Lucky Feet Shoes, we carry many specialty shoes for arthritis such as comfort shoes, sandals and slippers. If you are looking for shoes for arthritis in Orange County, the Inland Empire, Los Angeles County, Temecula or Riverside, we have six stores to serve you! 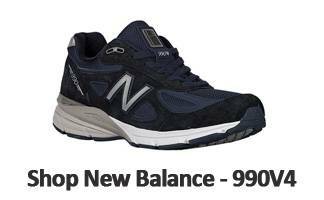 If you are looking for shoes for arthritis in Anaheim, Anaheim Hills, Yorba Linda, Brea, Orange, Placentia, Fullerton, Irvine, Villa Park or Tustin; visit our store in Anaheim Hills. 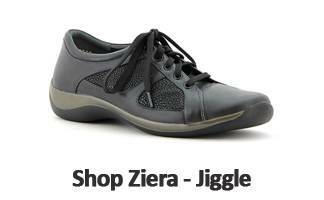 If you are looking for shoes for arthritis in San Dimas, Glendora, Pomona, Covina, West Covina, La Verne, Azusa, Diamond Bar or Claremont; visit our store in San Dimas. If you are looking for shoes for arthritis in Rancho Cucamonga, Ontario, Upland, Fontana, Rialto, Chino, Chino Hills, Mira Loma, Eastvale, Colton or San Bernardino; visit our store in Rancho Cucamonga. If you are looking for shoes for arthritis in Riverside, Moreno Valley, Corona, Rubidoux, Loma Linda, Grand Terrace, Redlands or Norco; visit our store in Riverside. If you are looking for shoes for arthritis in the Temecula Valley, Murrieta, Fallbrook, Lake Elsinore, Wildomar, Hemet, San Jacinto, Pala, Sun City, Menifee, Canyon Lake, Perris, Bonsall or Anza; visit our store in Temecula.